Oliver Table, gray/natural - White x White - Antique and Fine Decor for the Home. Oliver side table made of reclaimed solid pine with a sturdy turned wood base in gray distressed base. 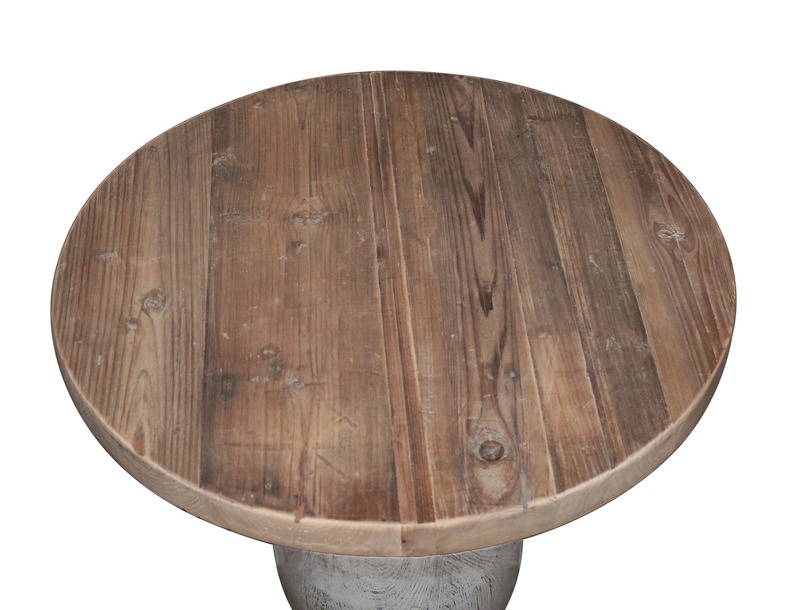 Top is made of reclaimed pine planks in a natural finish. Reclaimed pine, by nature, is apt to have knots and imperfections adding charm and character and should be expected with this item.